PROFESSOR : In subjects namely, Organon of Medicine, Homoeopathic Materia Medica, Homoeopathic Pharmacy, Repertory. A. ESSENTIAL QUALIFICATIONS: Post Graduate qualification in Homoeopathy with three years of teaching experience in the subject concerned as Associate Professor/Reader in a Homoeopathic College of degree level. The qualification shall be the one included in second Schedule of Homoeopathy Central Council Act, 1973. B. DESIRABLE QULIFICATIONS: 1. Experience as Supervisor/Guide for Post Graduate programme in Homoeopathy and original publication in research. 2. Administrative experience in a Homoeopathic Medical college/hospital 3. Research experience in a research institution recognized by the concerned University and/or State Government or Central Government. PROFESSOR : In subjects namely, Anatomy, Physiology, Pathology, Forensic Medicine and Toxicology, Surgery, Gynaecology and Obstetrics, Practice of Medicine and Community Medicine. (1) A. 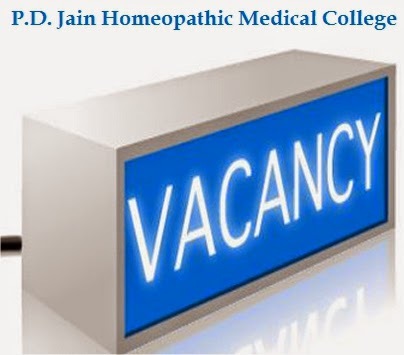 ESSENTIAL QULIFICATION: Post Graduate qualification in Homoeopathy with three years of teaching experience as Associate Professor/Reader in the concerned subject in a Homoeopathic College of degree level. The qualification shall be the one indeed in Second Schedule of Homoeopathy Central Council Act, 1973. B. DESIRABLE QUALIFICATION (a) Experience as Supervisor/Guide for Post Graduate programme in Homoeopathy and original publication in research. (b) Administrative experience in Homoeopathic Medical College/Hospital. OR (2) A. ESSENTIAL QULIFICATIONS: (i) Post Graduate Medical Degree in the concerned subject recognized by the Medical Council of India. (ii)Three years teaching experience as Associate Professor/Reader in the subject concerned in a degree level Homoeopathic College and/ or in a medical college permitted by the Central Government. B. DESIRABLE QULIFICATION: (i) Original research papers publication. (ii) Research experience in a research institution recognized by the concerned University or State Government or Central Government. ASSOCIATE PROFESSOR / READER IN HOMOEOPATHIC SUBJECTS: In subjects namely, Organon of Medicine, Homoeopathic Materia Medica, Homoeopathic Pharmacy, Repertory. A. ESSENTIAL QULIFICATIONS: Post Graduate qualification in Homoeopathy with four years of teaching experience as Assistant professor/Lecturer in the concerned subject in a Homoeopathic College of Degree level. The qualification shall be the one included in Second Schedule of Homoeopathy Central Council Act, 1973B. DESIRABLE QULIFICATIONS: (i) Experience as Supervisor/Co-supervisor or Guide/Co-Guide for Post Graduate Course in Homoeopathy. (ii) Research experience in a research institution recognized by the concerned University or State Government or Cenral Government. ASSOCIATE PROFESSOR / READER IN ALLIED MEDICAL SUBJECTS : In subjects namely, Anatomy, Physiology, Pathology, Forensic Medicine and Toxicology, Surgery, Gynaecology and Obstetrics, Practice of Medicine and Community Medicine. (1) A. ESSENTIAL QULIFICATIONS: Post Graduate qualification in Homoeopathy with four years of teaching experience as Assistant professor/Lecturer in the concerned subject in a Homoeopathic College of Degree level. The qualification shall be the one included in Second Schedule of Homoeopathy Central Council Act, 1973. B. DESIRABLE QULIFICATION: (a) Experience as Supervisor/Co-supervisor or Guide/Co-Guide for Post Graduate Course in Homoeopathy. (b)Research experience in a research institution recognized by the concerned University or State Government or Central Government. OR (2) A. ESSENTIAL QULIFICATIONS: Post Graduate Medical Degree in the concerned subject recognized by the Medical Council of India with four years teaching experience as Lecturer in the subject concerned in a degree level Medical Institution/Homoeopathic College. B. DESIRABLE QULIFICATION: (a) Original research papers publication. (b) Research experience in a research institution recognized by the concerned University/ State/Central Government. ASSISTANT PROFESSR / LECTURER IN HOMOEOAPTHIC SUBJECTS : In subjects namely, Organon of Medicine, Homoeopathic Materia Medica, Homoeopathic Pharmacy, Repertory. A. ESSENTIAL QULIFICATIONS: Post Graduate qualification in Homoeopathy preferably in the concerned subject. The qualification shall be the one included in Second Schedule of Homoeopathy Central Council Act, 1973. Preference shall be given to those candidates who holds experience of working as R.M.O. and/or House Physicians in a Homoeopathic Hospital attached to a Homoeoapthic Medical College permitted by Central Council/Central Government. Age: Not more than 40 years as on the last of receipt of application for the post . Age is relaxable by 5 years maximum for exceptionally qualified persons with prior approval of the University concerned. ASSISTANT PROFESSOR / LECTURER : In subjects namely, Anatomy, Physiology, Pathology, Forensic Medicine and Toxicology, Surgery, Gynaecology and obstetrics, Practice of Medicine and Community Medicine. A. ESSENTIAL QULIFICATIONS: Post Graduate qualification in Homoeopathy. The qualification shall be the one included in Second Schedule of Homoeopathy Central Council Act, 1973. Preference shall be given to those candidates who holds experience of working as R.M.O. and/or House Physicians in a Homoeopathic Hospital attached to a Homoeopathic Medical College permitted by Central Council/Central Government. OR Post Graduate Medical Degree in the concerned subject recognized by the Medical Council of India. Preference shall be given to those candidates who holds experience of working as R.M.O. – and/or House Physicians in a Homoeopathic Hospital attached to a Homoeopathic Medical College permitted by Medical Council/Central Government. Age: Not more than 40 years as on the last date of receipt of application for the post. Age is relaxable by 5 years maximum for exceptionally qualified persons with prior approval of the University concerned. Provided that the teachers appointed on various cadres previously to this Notification in recognized Homoeopathic College shall be promoted as per the provisions of regulation under which they were appointed. Apply to The President at Prabhat Education Society’s, P. D. JAIN HOMOEOPATHIC MEDICAL COLLEGE, Vakil Colony, Dist. Parbhani – 431 401. on plain paper / prescribed format along with attested copies of certificates and experience certificates.